All Star Line-up To Appear In Mark Hummel’s Ultimate Harmonica Blowout ! For twenty-six years, two-time Blues Music Award winner, Grammy nominee and harmonica ace Mark Hummel has been organizing his Blues Harmonica Blowout showcase and touring it around the country to great reception. 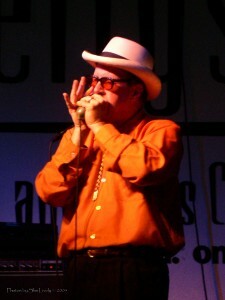 Over the years he has offered the absolute best harmonica players in the blues, but this year’s version is so spectacular and offers a variety of artists known through various genres that he’s renamed it “The Ultimate Harmonica Blowout.” This not-to-miss event will be coming to Portland on Tuesday, January 24 at The Alberta Rose Theatre. The harp players lined up for this event aside from Hummel himself include: Jason Ricci, Howard Levy (Bela Flek, Kenny Rankin), Corky Siegel (Seigel-Schwall, Chicago Blues Reunion), and Canada’s Son of Dave (Crash Test Dummies). And if this line-up was not incredible enough, Hummel will be bringing along renowned award winning guitarist and producer Duke Robillard (Roomful of Blues, The Fabulous Thunderbirds). The Alberta Rose Theatre is located at 3000 NE Alberta Street. Show time for this event will be 7:30 pm. Minors are okay when accompanied by a parent or guardian. Tickets may be purchased in advance at albertarosetheatre.com for $30.00 or at the door day of show for $35.00. 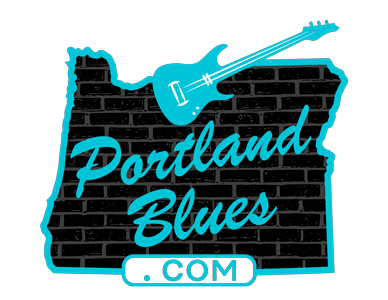 This is a Cascade Blues Association co-sponsored event, so use the code “CBA” when ordering online and receive a $2.00 discount . Mark Hummel’s Ultimate Harmonica Blowout will also appear in Eugene at The Shedd Institute, 868 High Street at 7:30 pm on Wednesday, January 25.